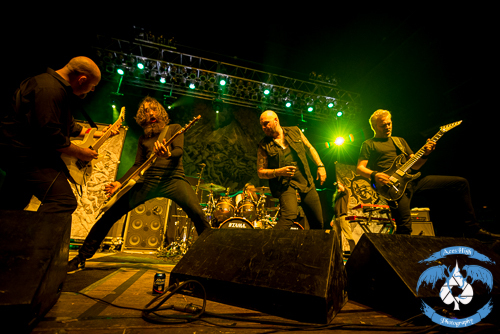 SOULFLY, SOILWORK & SHATTERED SUN Live In Cleveland, Ohio With Photos! 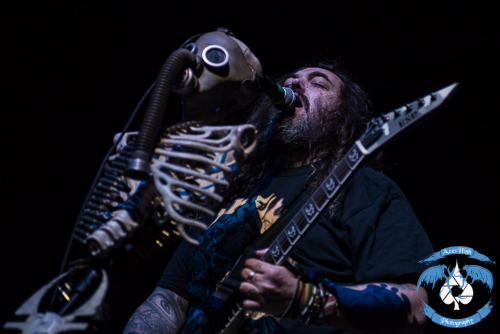 It was another Tuesday-night beat down as the Cavalera Tribe made their way to Cleveland for the second time this year; this time in the form of SOULFLY. As local acts raged across the hall in the ballroom, the road crew was diligently setting up in the much more spacious theater. It should be noted that Polish death metal act DECAPITATED was originally a part of this lineup, however they have run into issues with the US immigration office and at this point it is still unresolved. Hopefully they will be able to jump on the bill before the tour ends later this month. 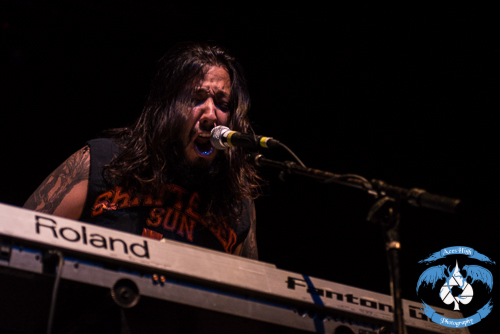 Up first was south-Texas natives, SHATTERED SUN. As the sparse early crowd started to filter across the hall and into the theater, the floor shook to “Reign Over Me”. 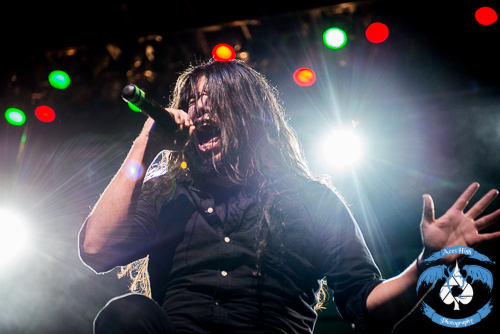 Vocalist Marcos Leal began whipping his long black hair around, stopping only to let out the guttural vocals. The short but sweet set quickly caught the attention of many who began to fill in the pit down on the floor. All selections from the band’s set can be found on their first full-length album released earlier this year, Hope Within Hatred. It was a brutal heavy set, with some elements of progressive metal; clean vocals, keys, etc. all involved. Highlight of the performance was the title track off of the new record, which really stirred the pit and closed their set. Melodic death metal heavy weights, SOILWORK, have eluded me for so long. Having been a fan of theirs for years, this was finally my first opportunity to catch them live. Judging by the array of SOILWORK shirts I saw in the crowd, myself included, this could have just as easily been a “co-headlining” show, if not tour. While the band was getting set up, I noticed that drummer-extraordinaire Dirk Verbeuren was struggling with getting something working behind his kit. After a few roadies collaborated around him, they all seemed to just shrug it off – they decided to go on with the show without it, evidently. Afterwards, I had the chance to catch up with Dirk, and I asked him about what was happening before the set. Apparently his mixer died and he was unable to play intros and other tracks. I immediately racked my brain – the only point in the set where this was the slightest bit noticeable was the intro (or absence thereof) to “Late For The Kill, Early For The Slaughter”. The setlist focused heavily on the just recently released album, The Ride Majestic, with a few crowd pleasers thrown in as well for good measure. Highlight of the set was “Stabbing The Drama”. The crowd was deafening as they sang along to the chorus. 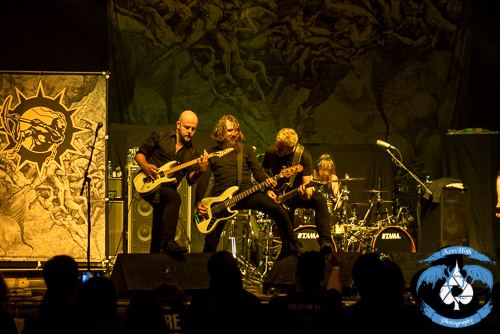 Newest SOILWORK member, bassist Markus Wibom, was especially animated. Dirk Verbeuren, despite the technical issues earlier, was as precise as could be. Watching him work behind the kit was mesmerizing. As far as drumming goes, Dirk was the instructor and class was in session. Before the set was over, vocalist Bjorn Strid talked about the last time SOILWORK was in Cleveland. It was three years ago at Peabodys Concert Club which is no longer. Several times he made is clear that the band would return as a headliner next year, so be on the lookout for US dates getting announced in the future. After a quick set change, Max Cavalera - a name forever entrenched in metal history, took the stage with this most-recent version of SOULFLY. 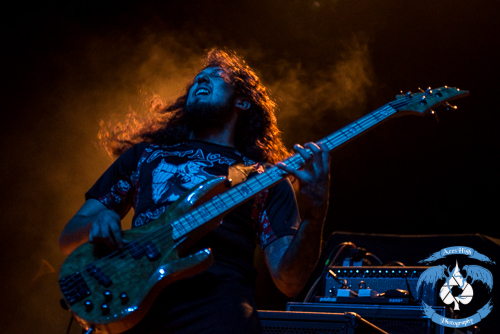 This lineup featured Mike Leon replacing Tony Campos on bass, who departed for FEAR FACTORY earlier this year, Max’s son, Zyon Cavalera of LODY KONG on drums and long-time guitarist Marc Rizzo. 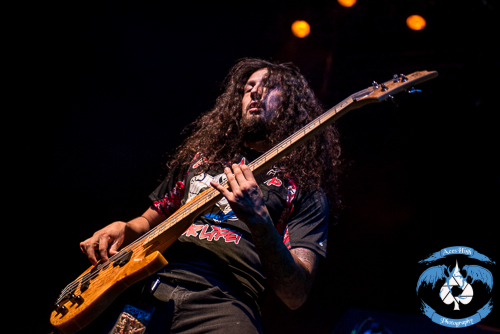 SOULFLY was also touring in support of a new record. I have said it before – 2015 is the year for metal, everyone is dropping great new albums left and right. Archangel was released on August 14th and marks the tenth studio album from arguably the busiest group of guys in the metal genre. Much like SOILWORK, the set was centered around tracks from the new album. The stage was very stripped-down in appearance – no backdrop, just a small drum riser and Max’s microphone stand, complete with the upper torso of a skeleton wearing a gas mask. The groove-metal pioneer marched his band into an onslaught of earth-shaking music much to the delight of the fans that had gathered. Naturally, it doesn’t matter which rendition of Max you go see; CAVALERA CONSPIRACY or SOULFLY, you are bound to hear a few of the set staples from SEPELTURA. When the tour was officially announced a few months back, I thought it was an interesting mix, specifically the contrasting styles of SOULFLY and SOILWORK. SOULFLY was the yin to SOILWORK’s yang. Instead of the precise, intricate and often progressive style of play, SOULFLY was more of the bombastic shock and awe; let’s make a crazy loud mess of things, kind of style. The pit stirred in a hurry as Max and Co. wasted no time diving in. 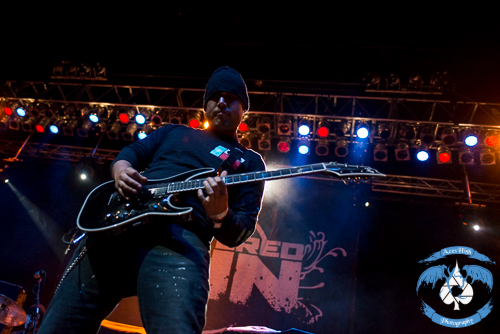 Check out some more killer photos from the show!